My visit to Auckland coincided with a bloody brilliant food and grog festival called Taste of Auckland. This is apparently an international thing. The deal is that providores, restaurants, winemakers etc all gather in one venue to give you a sample of their wares. Mrs BotF hopped off the plane and came straight to Victoria Park on the ouskirts of the Auckland CBD and we got right into it. I’ll describe the highlight in a later post, but in addition to the food and wine guys strutting their stuff were a couple of brewers. In addition to some of the superstars of the NZ brewing scene (Epic, Moa and Tuatara) was a mob called 1010 Brewing. 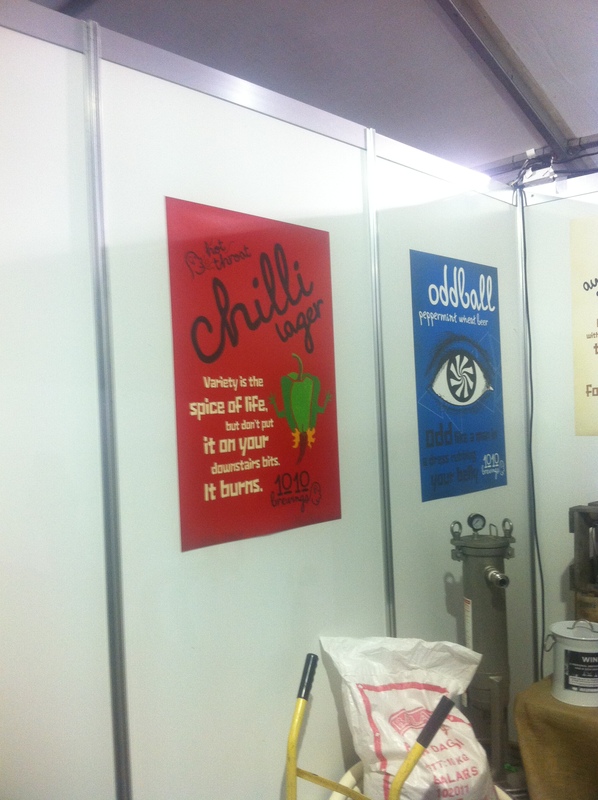 Their stand had some intriguing posters with great artwork, but unfortunately I arrived proffering my glass just after their taps were shut. No amount of sweet talking would change their mind, but they told me that if I wanted a sample I simply had to go to their one and only outlet – Sale St.
Now when a place proclaims itself as a “mega-venue that defines style”, I’d normally run a mile, but I really wanted to try their beer. 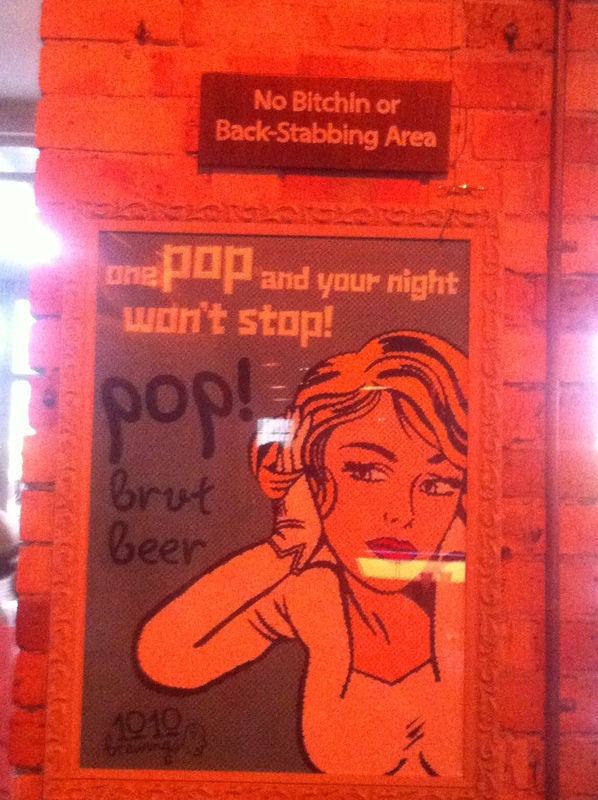 I’m glad I did, because Sale St is one of the most enjoyable and coolest places at which I’ve sipped a bevvie. It’s a barn of a place, with plenty of different spaces and as good a fit-out as I’ve seen. The light-fittings (doesn’t really do it justice) made out of cutlery were quite brilliant. I’m not sure what was happening on this particular Saturday arvo in Auckalnd, but my Bro-in-Law (I’m sure that is the Kiwi way of saying it) and I were surprised at how many bombed people were staggering around at around 4.30pm. Still, it was a ebullient place. 1010 Brewing’s beers are made on site. 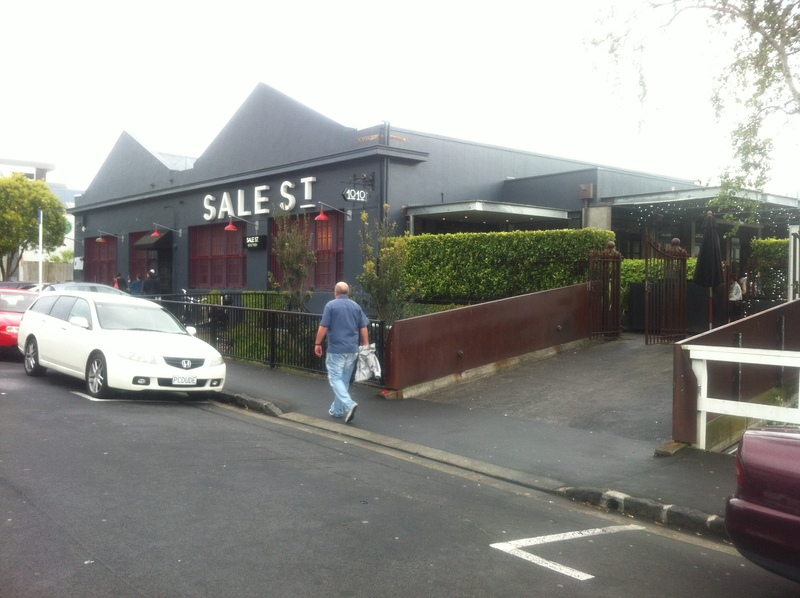 They don’t bottle – just serve from the tap at Sale St. The name, by the way, derives from Auckland’s postcode. The bloke I met at the festival told me that there’s no rhyme or reason to what’s on tap – whatever’s the next keg goes on. 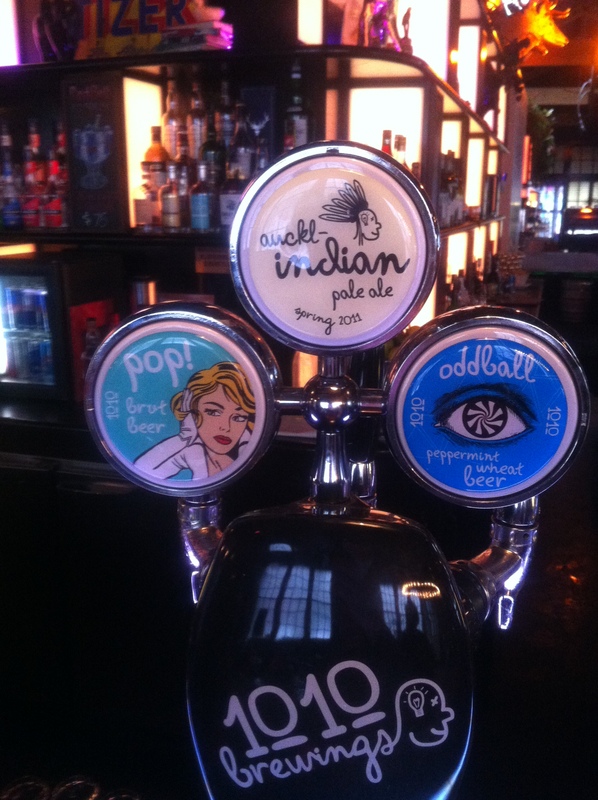 I wanted to try the Chilli Beer, but on the day the three varieties available were – Auckl- Indian Pale Ale, Pop! Brut Beer and Oddball Peppermint Wheat Beer. The Auckl- IPA was a ripper. Nicely hoppy, with plenty of attitude. It was a real good ‘un. Pop! Brut Beer was a little funky – quite yeasty and a little chewy. Oddball was just that. I’m a fan of the post-beer mint when you return to the office – but mint in beer just doesn’t work. My Bro-in-Law – normally a Waikato Draught drinker – was most distressed that I ordered a pint of the stuff. Still – full marks for trying and I’ll be re-visiting Sale Street again the next time I’m in Auckland.